Urbanism creates new landscapes plastered with cement and buildings and technology is making life simpler. But where are all the green spaces? 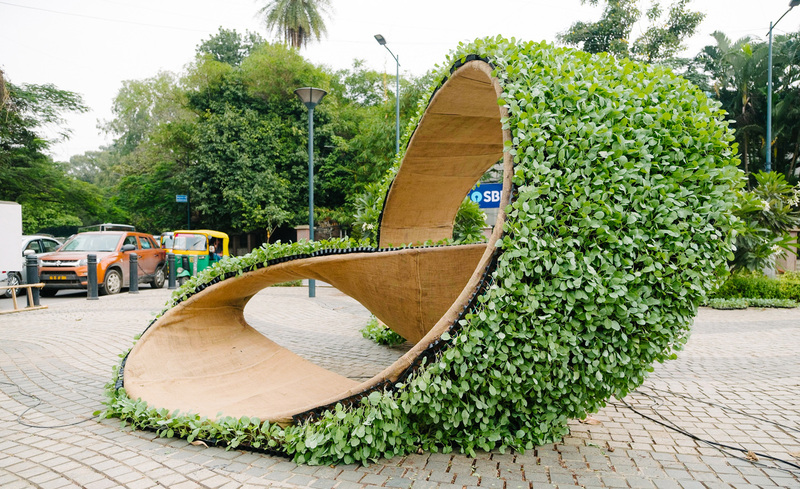 Created by Total Environment this installation features a self-sustaining green space shaped like a ribbon. This design makes a great cool canopy at the same time is designed to grow your produce. Imagine if all public spaces were designed in this manner, the city would benefit from cooler climates and better air. 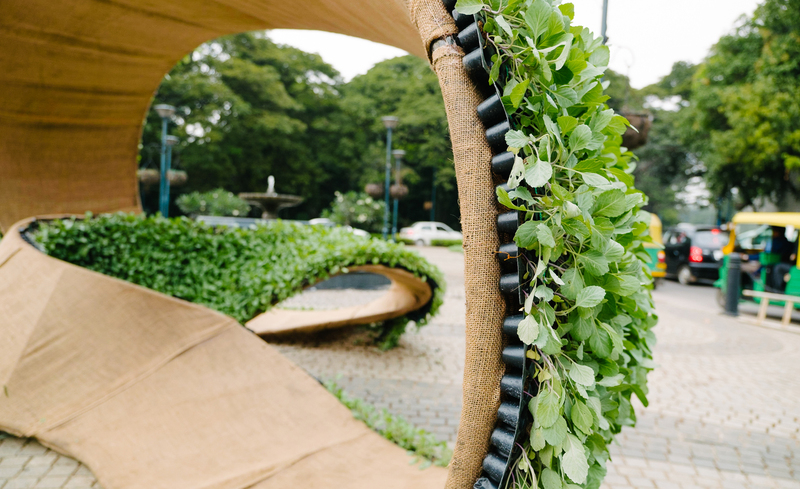 This simple formation and design can lend itself to the Urban Landscape create a unique sight lending to green living initiatives.